Hot Pepper Jam- 20 oz. 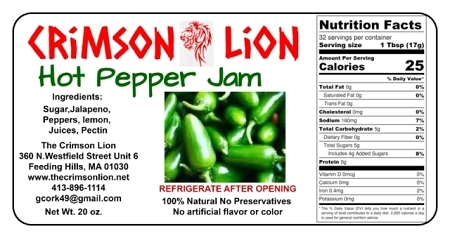 Hot Pepper Jam is often used as a glaze on veggies, ham, pork chops, chicken wings, fish, etc. appetizer. Mix with cream cheese as a dip. Many other uses ! !